Our department is internationally recognized in terms of high quality applied research and high caliber graduates. You'll be taught in state-of-the-art laboratories and classrooms, located in the College of Engineering and Applied Sciences, located in the Parkview Business Technology and Research Park. Our class sizes are smaller, with one-on-one interaction with faculty and industry personnel. You'll be learning with technologically advanced methods and tools and you'll be taught by the finest professors and faculty. When you get your first job offers, you'll be able to 'hit the ground running!' 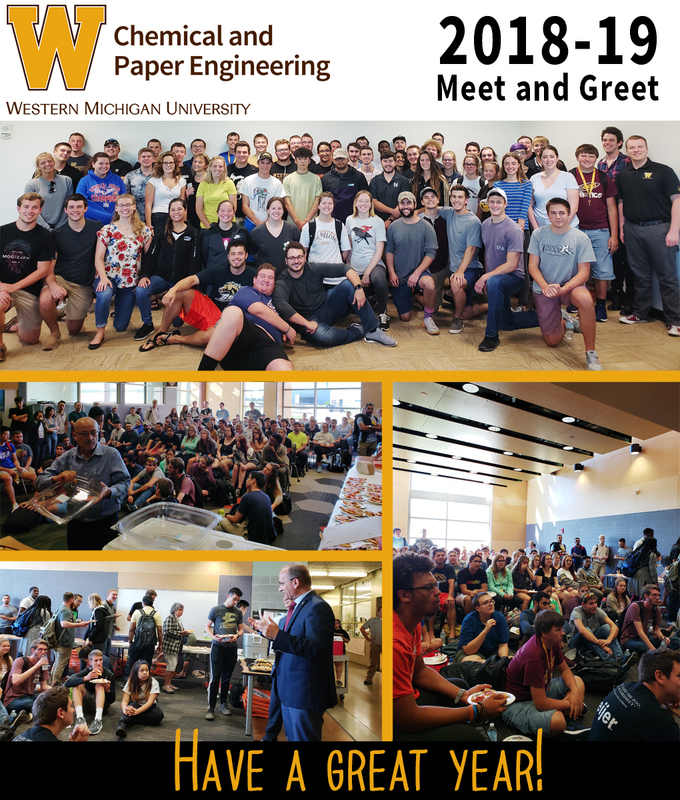 That's why corporations feel confident hiring Western Michigan University chemical and paper graduates! For more than 60 years, our graduates have always successfully placed with some of the highest starting salaries in the limitless and cutting-edge fields of engineering. Our students participate in hands-on summer internship and co-op experiences with the paper, chemical, pharmaceutical, food, energy, and printing industries. Industry depends on us to fill their positions with our students. The department offers B.S. degrees in paper engineering, chemical engineering and graphic and printing science. M.S. and Ph.D degrees are offered in paper and printing science. Our chemical engineering program offers a Ph.D in engineering and applied sciences in the areas of biochemical and biological engineering and an M.S. in chemical engineering.